Read more about these applications on our Moses Lake Project Website at http://moseslakealum.com/. Moses Lake is a large, 6,500-acre lake located near the City of Moses Lake, WA. The lake was created in 1930 with the completion of the dam. The lake provides valuable irrigation water to the region. 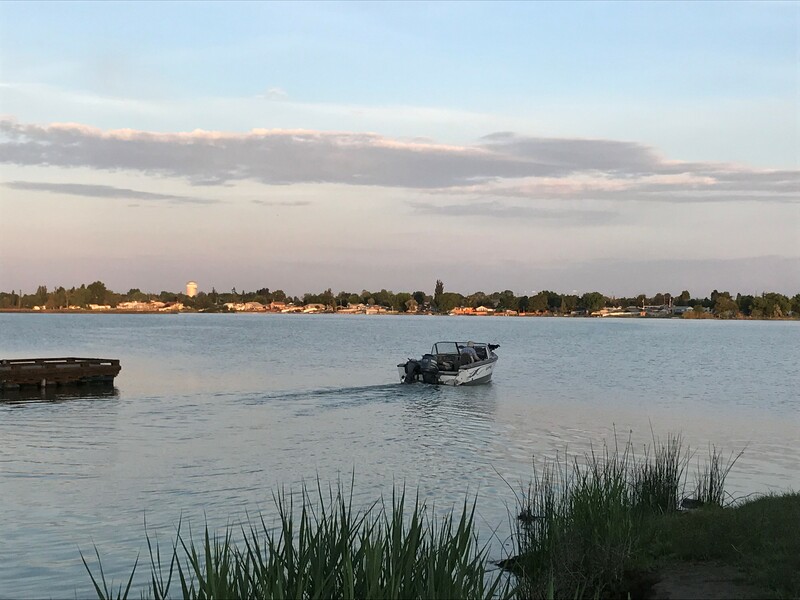 Lake Moses is also an important recreational lake and the Moses Lake Irrigation and Rehabilitation District has a strong commitment to enhancing and maintaining good water quality for the many uses of the lake. One water quality challenge has been the excessive growth of algae. Too much of the nutrient phosphorus is the main cause of the algal blooms. Internal phosphorus loading (leaching from the lakebed sediments) is significant and provides phosphorus to the overlying water column. HAB Aquatic Solutions will be conducting a pilot alum application in the Pelican Horn portion of the lake over a two day period in late-May. The application produces a “floc” that settles to the bottom of the lake. The floc has sites where phosphorus in the sediments becomes chemically bound as it leaches from the bottom. The floc effectively intercepts and binds the phosphorus, which makes it unavailable for the algae to use for growth. The goals of the project are to dramatically reduce the internal loading of phosphorus from the sediments, lower the amount of phosphorus available to algae in the water, reduce the amount of algae and associated water quality challenges, and improve recreational opportunities at the lake. This first phase of the alum project will deliver a portion (37,500 gallons) of the full required dose to 100 aces of the lakebed, begin reducing internal loading and provide a foundation for possible additional application in the future.